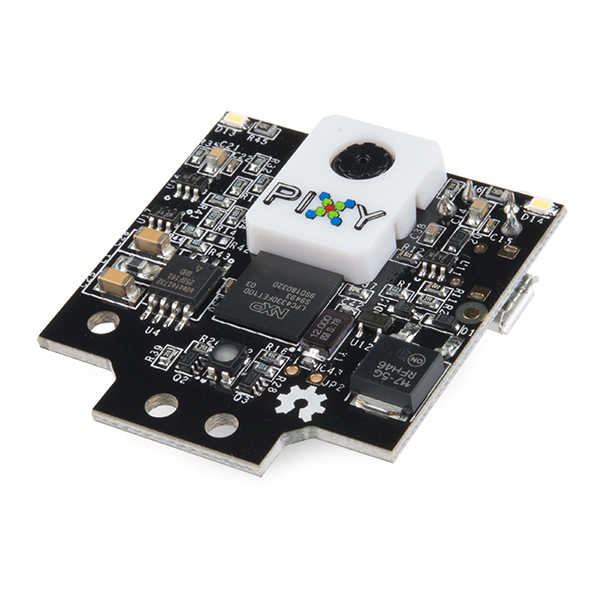 The Pixy2 CMUcam5 is smaller, faster and more capable than the original Pixy. Like its predecessor, the Pixy2 can learn to detect objects that you teach it, just by pressing a button. Additionally, the Pixy2 has new algorithms that detect and track lines for use with line-following robots. With these new algorithms, you can detect intersections and “road signs” as well. The road signs can tell your robot what to do, such as turn left, turn right, slow down, etc. The best part is that the Pixy2 does all of this at 60 frames-per-second, so your robot can be fast, too! 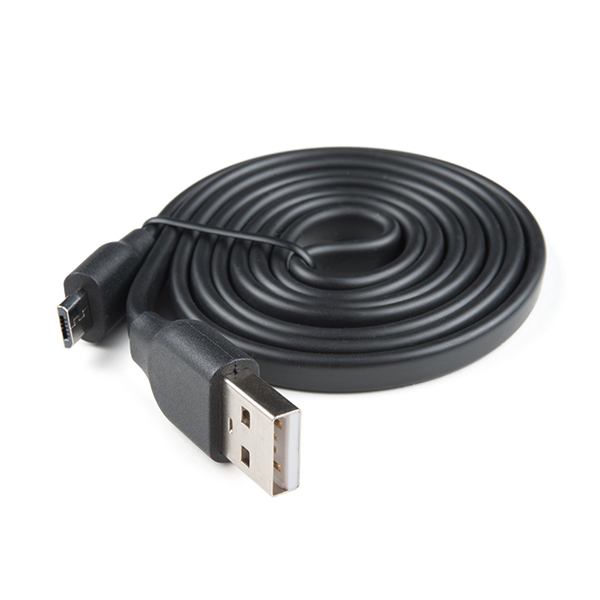 No need to futz around with tiny wires — the Pixy2 comes with a special cable to plug directly into an Arduino and a USB cable to plug into a Raspberry Pi, so you can get started quickly. 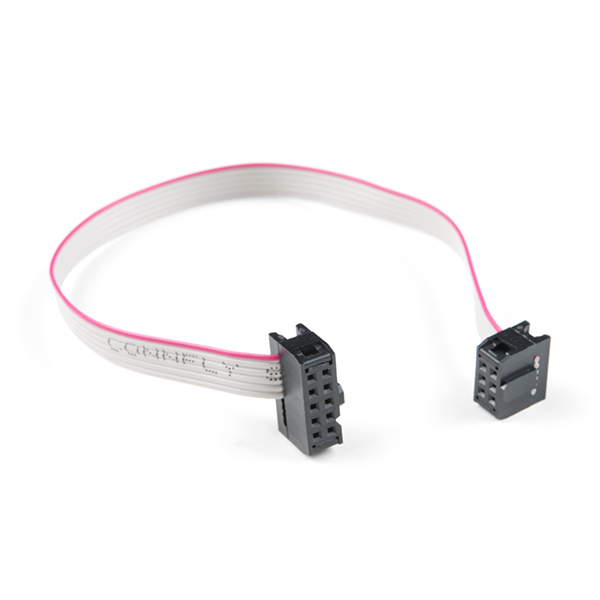 No Arduino or Raspberry Pi? No problem! 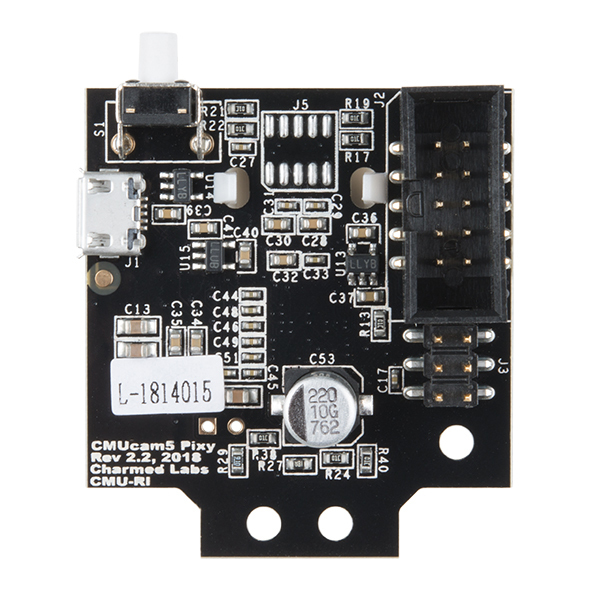 The Pixy2 has several interfaces including SPI, I2C, UART, and USB with simple communications, so you get your chosen controller talking to the Pixy2 in short order. The Pixy2 uses a color-based filtering algorithm to detect objects. Color-based filtering methods are popular because they are fast, efficient, and relatively robust. Pixy2 calculates hue and saturation of each RGB pixel from the image sensor and uses these as the primary filtering parameters. The hue of an object remains largely unchanged with changes in lighting and exposure. Changes in lighting and exposure can have a frustrating effect on color filtering algorithms, causing them to break. Pixy2’s filtering algorithm is robust when it comes to lighting and exposure changes.